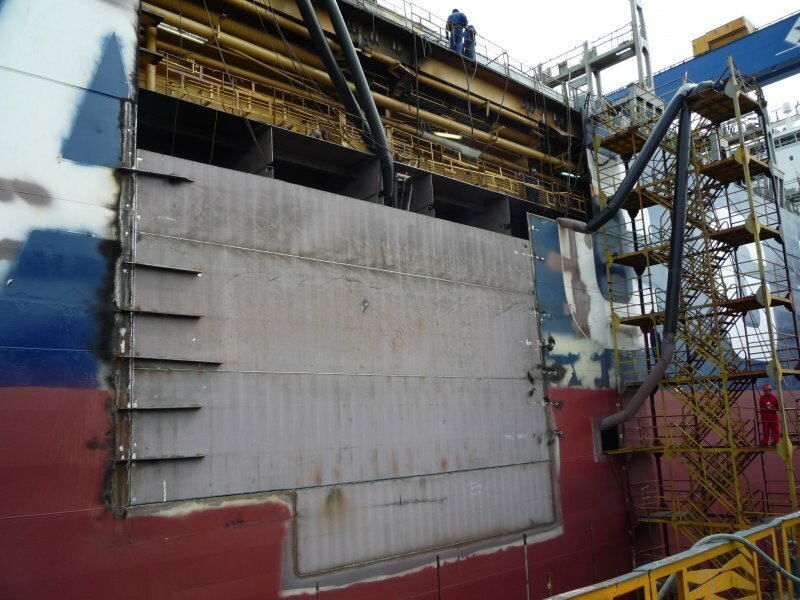 In spring 2010, between April 22nd and May 25th, a 6,456 TEU container ship came upon a serious collision in Egean Sea to our shipyard for repairs. 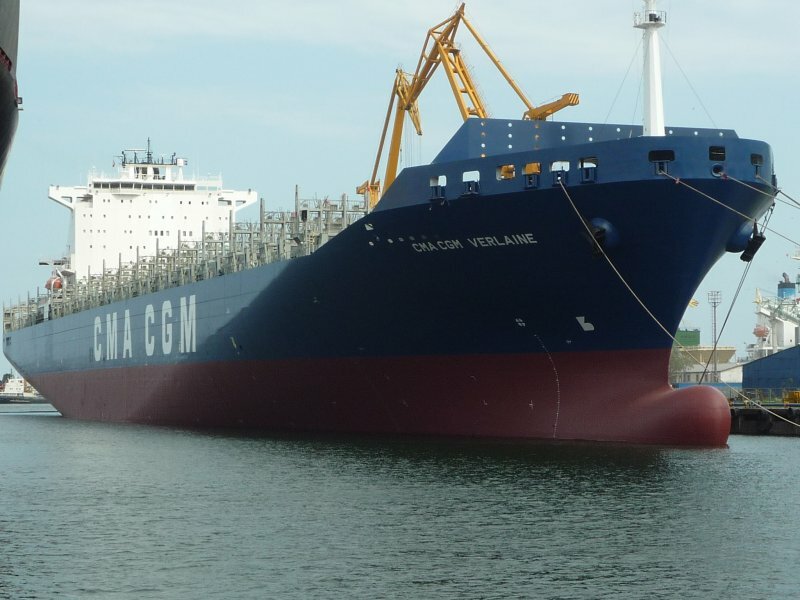 During maneuvering the said vessel collided with another one resulting a hole in Verlaine double hull through which water flooded C/h no.4 & 5. 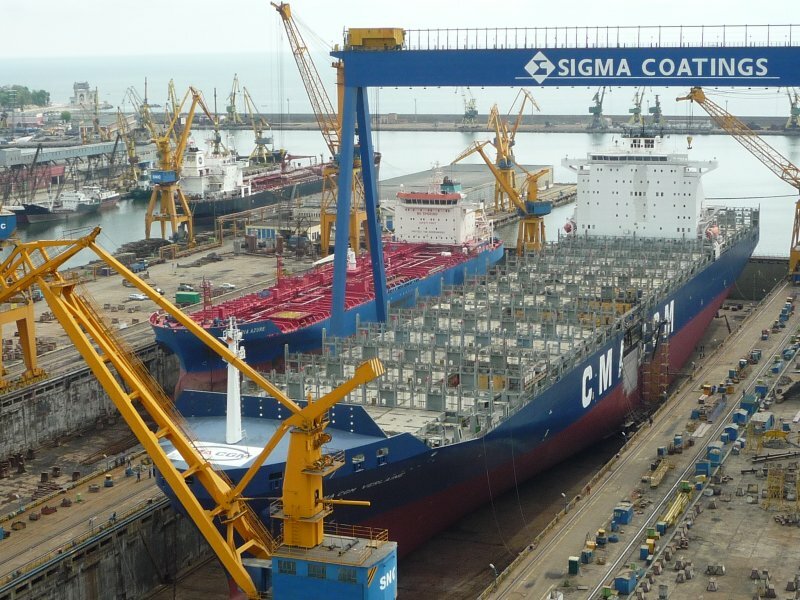 After provisional repairs on site, the container ship arrived in Constanta Shipyard when repair works were carried-out, involving some 110 tons of steel in way of damaged area, cargo holds, ballast tanks and passage way (void) treatment about 8500 sq.m. During the mentioned period of repairs normal dry-docking works, pipe works, mechanical and electrical works were performed. Vessel was redelivered in time all repairs being done to Owners full satisfaction.